I have been involved in the property market since 1981. I have experienced the highs and lows of recessions, peaks, inflation, boom and bust, and everything associated with the Northern Ireland property market over the last 30 years. I gained my experience in Brian Morton and co., mckibbon and co. and as a director with the Abbey National/Cornerstone Estate Agency organisation. I am a member of the Royal Institution of Chartered Surveyors and Managing Director of Hampton Estates which I started in 1999. The property business is all about people. I still get a buzz about meeting new clients and old clients, hearing their stories and helping them in whatever way I can. I get a real kick from selling a house and I know my staff share my enthusiasm. It is the best business and the only business I know. I hope I can be of service to all my clients for many more years to come. 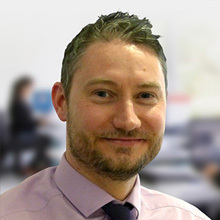 Brian is the company's Senior Chartered Surveyor and Residential EPC Assessor. 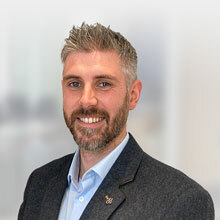 Following his graduation in BSc Hons in Estate Management, Brian quickly became a Chartered Surveyor (and fully fledged Member of the Royal Institution of Chartered Surveyors) and now has over ten years post qualification experience in this specialist field. 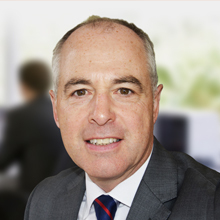 His area of expertise is Residential Property Survey and Valuation which he undertakes on behalf of a range of clients including all local banks and the majority of UK lenders, as well as individual clients and developers. He also has significant experience and success in land acquisition and identification of development opportunities for government clients and private developers. Brian had added another "string to his bow", and the services that Hampton Estates can therefore offer, by qualifying as a Residential EPC Assessor. Having had experience of Private, Public and Plc Sectors Brid undertakes a business development role in Hampton Estates with particular responsibility for the Investment Department, site identification, Builder/Developer consultation & advice. Connor joined Hampton Estates in July 2006 on his student placement year and rejoined on a permanent basis in September 2008 having graduated from the University of Ulster, with a BSc (Hons) degree in Housing Management. 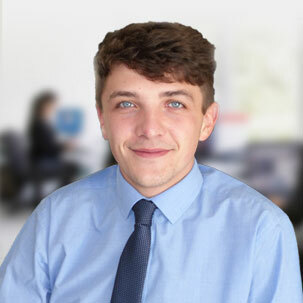 Connor plays an integral role in Residential Lettings and Property Management and his knowledge of the local markets ensures an effective and efficient service to all clients. Outside of work Connor has a keen interest in GAA. Gerard has nearly 20 years estate agency experience both in Belfast and Kent and brings a wealth of experience and knowledge. Raised & educated on the Ormeau Road, Gerard's knowledge of the local market is second to none and can advise sellers on strategic marketing and pricing for their individual needs and property. 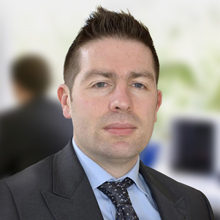 Brendan Recently joined Hampton Estates in August 2015. After graduating from University in Property management and Investment and spending some time in England in a property management role he decided it was time to come home. 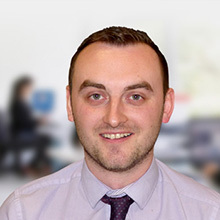 Brendan's role in the office is within the lettings and property management department and has just recently started his APC training working towards becoming an RICS accredited surveyor. Brendan is a keen sportsman and in his spare time plays Gaelic and Hurling for a Local Belfast GAA club. Kris joined Hampton Estates Rental Department in September and has quickly become an integral part of the Lettings & Property Management Team. Kris manages a large portfolio of rental properties and is passionate about ensuring the best standard of service for both landlord and tenant. Kris graduated from Northumbria University with a BSc (Hons) in Environmental Management in 2015. Outside of work Kris is a keen motorsports fan and golfer. Claire recently joined Hampton Estates in 2017. Claire graduated from Ulster University with a BSc (Hons) degree in Housing Management, during this time Claire spent a year with the Northern Ireland Housing Executive in the Housing Policy Unit. Since graduating, Claire then decided to move to the Private Sector and spent 2 years in a Property Management role in Ballyclare. 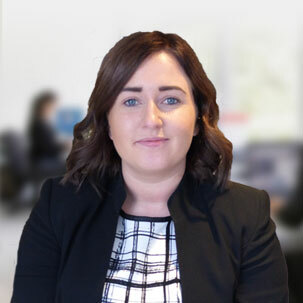 Claire then made the move to Hampton Estates and has continued to work in Block Management dealing with a wide range of developments, as well as assisting with the Rental Team. 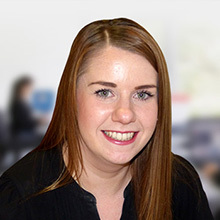 Fiona joined the Hampton Estates team in 2014, assisting both the sales & survey departments. Her main roles include liaising with mortgage lenders and applicants in order to provide the relevant survey, typing valuations and chasing payments. Prior to this, Fiona spent 6 years working for an Irish Aid Organisation where she had the opportunity to work in developing countries such as Uganda. Fiona graduated from the University of Ulster Coleraine in 2008 before travelling around America for several months. She has a keen interest in travelling and experiencing different cultures, particularly the food and drink! Christine joined Hampton Estates increasingly busy Survey Department in 2018. Her main role is to liaise with mortgage lenders/applicants and organise the appropriate survey, along with ensuring the smooth running of this department by managing our surveyor's diaries and appointments. 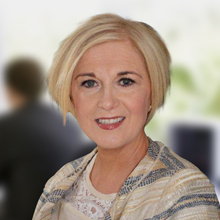 Christine is extremely customer focused and due to graduating from Queens University with a degree in Law, her legal background ensures a thorough service for all parties involved. 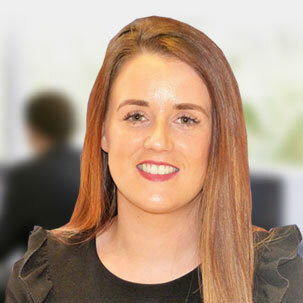 Shauna joined Hampton Estates accounts dept in 2018. 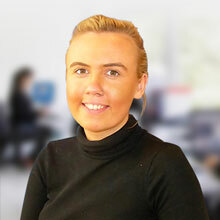 With an extensive accountancy career to date, Shauna's attention to detail is second to none. 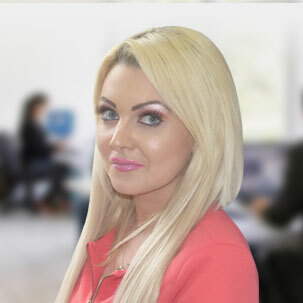 Shauna is involved with all aspects of accounts in Hampton Estates, from generating sales fees, rent demands to office accounts.